Larry Ainsworth is the author or coauthor of numerous published books, including: Common Formative Assessments 2.0 (2015), “Unwrapping” the Common Core (2014), Prioritizing the Common Core (2013), Rigorous Curriculum Design (2010), Common Formative Assessments (2006), “Unwrapping” the Standards (2003), Power Standards (2003), Five Easy Steps to a Balanced Math Program (2000 and 2006), Student Generated Rubrics (1998), and Getting Started with Rigorous Curriculum Design: How School Districts Are Successfully Redesigning Their Curricula for the Common Core (2013). His Corwin workshop, “Learning Intentions and Success Criteria” (2016), is a step-by-step process PK-12 educators use to bring clarity to student learning targets. Currently an independent education author and consultant, Larry served as the Executive Director of Professional Development at The Leadership and Learning Center in Englewood, Colorado, from 1999-2013. He traveled nationally and internationally to assist school systems in implementing best practices related to standards, assessment, curriculum, and instruction across all grades and content areas. 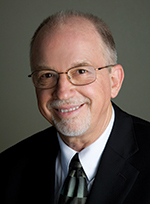 Throughout his career as a professional developer, Larry has delivered keynote addresses and breakout sessions across North America and in Latin America and regularly worked on site in school systems to assist leaders and educators in understanding and implementing powerful standards-based practices: prioritizing and “unwrapping” state standards and Common Core standards, developing common formative assessments, designing authentic performance tasks, and creating rigorous curricular units of study in all content areas, pre-kindergarten through grade 12. Drawing upon 24 years of experience as an upper elementary and middle school classroom teacher in demographically diverse schools, Larry brings a varied background and wide range of professional experiences to each of his presentations. His primary goal is to help all educators and leaders positively impact student learning using proven practices with standards, assessment, curriculum, and instruction. You are welcome to visit Larry’s website at larryainsworth.com to learn how “Timeless Practices Work Together” to improve student learning. Common Formative Assessment: This seminar shows how increased accountability, rigorous standards for college and career readiness, and high stakes exams have made Common Formative Assessments timelier than ever.